Color matched Hydroment caulk is for use as an indoor - outdoor caulk. 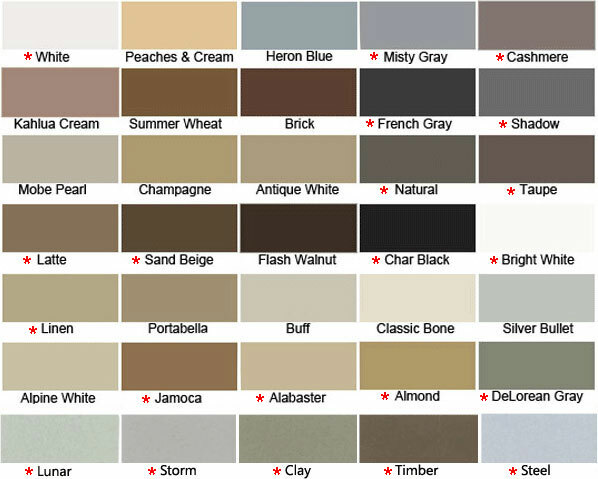 Find Hydroment caulk in shades of tan, black, grey, browns, green and more. This indoor - outdoor caulk in sanded (rough) and unsanded (smooth) textures. Hydroment caulk is moisture and mildew resistant. The 10.3 oz tubes will fit a standard caulk gun. Why wait, order today!